Home Financial Tips Law Understanding Filial Support Laws: Could You Be Liable for Your Parents’ Long-Term Care? 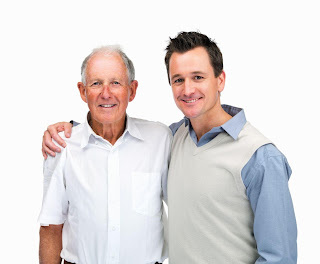 Understanding Filial Support Laws: Could You Be Liable for Your Parents’ Long-Term Care? “The Sandwich Generation” is a common term for adults who find themselves caught between taking care of their children as well as their aging parents. Unfortunately, adults who haven’t investigated long-term care insurance basics and other ways to cover their parents’ health care costs may find their finances headed for a perfect storm. At this time, 29 states have enacted “filial support laws” that hold adult children financially liable when their parents can no longer support themselves. The inability to pay may not exempt you from a costly legal battle. The nursing home has the obligation to prove that the child can pay for the parent’s accrued expenses. The son still had liability even though he had a pending application for Medicaid. The nursing home had the right to target one particular child for the application of filial law. It had no obligation to involve the mother’s husband or other siblings when seeking payment. Creditors can seek lump-sum payments. The son in Pittas was required to pay a lump sum of $93,000 instead of being allowed to make monthly payments to his mother’s creditors. Creditors have substantial rights to go after children for elder care debts under filial law. HCR did not have to prove that the son was at fault for the debt. Additionally, HCR had the power to apply filial law to past debt in addition to currently accruing debt, in its collection efforts. The average cost for a year of nursing home care in the U.S. is approximately $70,000. Kaiser estimates that only one-third of seniors have sufficient assets to pay for one year of nursing care. Obtaining help from Medicaid means navigating a complex labyrinth of requirements. For instance, seniors have to qualify based on both income and functional eligibility criteria. 1) Income criteria : Most seniors who are eligible for Medicaid must have income at around 73 percent of the poverty level. Also, countable assets must amount to only a few thousand dollars. Checking accounts, savings accounts, stocks and bonds, retirement accounts and other liquid financial assets have to be emptied before seniors can qualify for Medicaid. While the state cannot go after a senior’s home, the state, in an effort to recoup its costs, can put a lien on a home that is part of a Medicaid recipient’s estate after the recipient’s death. 2) Functional eligibility criteria : To qualify for Medicaid, seniors have to have health care needs that go beyond the need for room and board. In other words, federal law states that long-term care must be “medically necessary,” but it leaves the definition of “medically necessary” to the states. In many cases, states assess a senior’s limitations regarding Activities of Daily Living (ADL), including the need for supervision, physical assistance and cueing or prompting. Seniors who do not meet criteria will not receive assistance from Medicaid. AARP estimates that 68 percent of Americans age 65 or older will become cognitively impaired or experience one or two areas of physical disability. Long-term care insurance can cover services like adult day care, medical equipment, home care and assisted living. Policies may be available through unions or, for federal employees and veterans, through the Federal Long-Term Care Insurance Program. Children with aging parents can also obtain private long-term care insurance by talking to an agent or seeking an online quote. As Medicaid becomes more cash-strapped and filial laws are more strictly interpreted, adults who expect to care for senior parents need to have a financial plan in place. To prevent potential financial disaster, adult children should review long-term care insurance basics, Medicaid and other financing options now rather than later. About the Author : Jeanne Patterson writes about filial law for a number of publications. She provides legal services for adult children concerning long-term care and estate planning. Patterson often recommends LTC Tree for long-term care insurance coverage.